Fiber is an important part of a healthy diet, but most people don’t get the recommended daily amount of fiber (25 grams for women and 38 grams for men). With new research proving the importance of fiber in the diet, as an in-home caregiver in Harrisburg, there’s no better time to learn why fiber is so important and find ways to incorporate it into your senior loved one’s diet. Fiber may be crucial to reducing stroke risk because it helps prevent many of the health issues contributing to stroke in the first place. Fiber helps people maintain a feeling of fullness, slows digestion, lowers cholesterol by absorbing lipids in the blood, and can help manage blood sugar levels. New research recently published in Stroke found that every 7-gram dietary increase in fiber decreased the chances of first-time stroke by 7 percent. Dark, leafy greens like spinach, kale, and broccoli are great in salads, sautéed as a side, or even blended up with fresh fruits for a nutrient packed smoothie. Whole grain breads, oatmeal, and high-fiber cereals topped with fresh fruits like blueberries, strawberries, and blackberries are great high-fiber breakfast options, while apples and pears make good snack choices. A handful of nuts like peanuts, pistachios, almonds and walnuts, are a good high-fiber snack, as are dried prunes. Legumes and grains, like lentils, black beans and quinoa, are heavier high-fiber options great for lunch or dinnertime. Try making black bean or lentil soup, quinoa with sautéed veggies, or a hearty three-bean salad. Your senior loved one may be unsure of what to look for at the grocery store, or simply doesn’t have the stamina to spend the day preparing fiber-packed meals. Find a live-in or hourly caregiver through Home Care Assistance Harrisburg who can grocery shop, prepare, and cook healthy meals filled with fiber for your senior loved one. 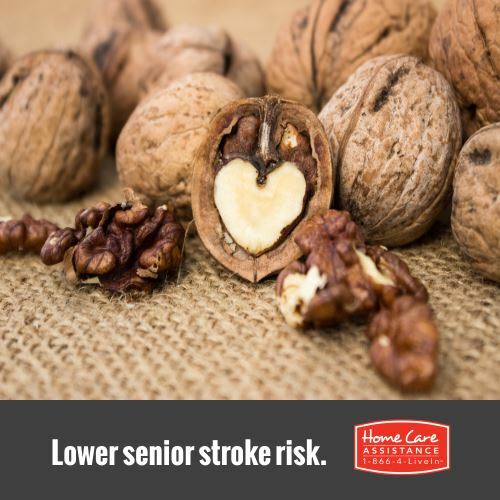 Home Care Assistance also provides in-home stroke care in Harrisburg when you need it most. Our caregivers promote safe and effective home recovery, can provide transportation to and from doctor’s appointments or appointments with the physical therapist, and offer continued companionship during the taxing recovery process. For more information, call a Care Manager at (717) 540-4663 and schedule a free in-home consultation.